5 Reasons to Adopt eLearning in 2019! We are all aware of the need for flexibility within the enterprise. The learning and development departments also are well aware of the same. Research shows that by 2022, 40% of the global workforce will be mobile—that’s approximately 1.87 billion people. How can organizations meet the training and learning needs of this workforce if all are expected to be present physically at a central training location? Can these people even make themselves available without dragging down productivity? Just like how organizations are leveraging technologies such as the mobile and developing enterprise mobility to make work accessible to this workforce, they need to focus on making learning available easily to them as well. This is especially true when it comes to field workers. These people too need access to corporate learning and development programs and regular training to succeed in their work and to contribute to organizational growth. eLearning helps organizations face up to this challenge by providing more flexibility and convenience to the learners to acquire new information, training or skill sets almost immediately. eLearning also leads to better knowledge retention and better training outcomes as it provides a differentiated learning experience. eLearning does not rely solely on classroom training and static lectures. Instead, it employs elements like gamification, video, and social connections, among others. The course becomes more engaging as a result. eLearning modules of today are also designed to be suited for consumption over mobile. As such, the training modules consist of smaller, bite-sized nuggets of information that are easily consumable. This avoids cognitive overload. Research shows that the millennials will make up 75% of the workforce by 2025. Statistics from the Dubai Statistics Centre reveal that 50.9% of the Emirate’s male workforce and 51.7% of the female workforce are millennials. The expectations of the millennials from their work environment are completely different from all previous generations. Born in the tech age, this generation takes to technology like a fish to water. Comfortable with technologies such as AR, VR, and AI, millennials can hardly be engaged with training methodologies that come from the Industrial Revolution age. They want things to be fast, and instantaneous in every walk of life—learning is no different. Clearly, organizations have to give their corporate learning and development as well as training initiatives a makeover to attract, engage, and train this workforce. And this can be done by leveraging technology and online methods to disseminate learning to this youthful workforce in an anywhere, anytime format. Driven by the wave of personalization, context is gaining prominence in the training and learning and development department. Thus, training has to adapt not only to being personalized but contextual as well. The enterprise of today also has to deal with the varying learning needs of each department as well as take into consideration an individual’s learning needs. Training content needs to be synthesized to facilitate knowledge discovery. Training courses thus need to be revamped so that the workforce can access information immediately, when they need it, in a device-agnostic manner, to facilitate enablement at work. Contextual learning also makes learning more engaging and relevant. With eLearning, organizations can make training continuous and thereby improve employee productivity by giving them access to knowledge resources to fine-tune their skills. The change in the business environment owing to technology adoption is increasing the focus on eLearning. Qatar, for example, is gearing up to host the FIFA World Cup 2022 and is making new investments in infrastructure, policy changes, and development. The people who will be a part of this transformation will need training and upskilling fast. How can organizations ensure this? Can classroom-based or instructor-led training programs provide such rapid upskilling? eLearning emerges as a boon here as training can be disseminated conveniently. It eliminates the need of on-site instructors. It does not need the setting-aside of valuable working hours for training. Additionally, eLearning programs can be suited to a global multi-cultural context using elements of localization. Such programs can help organizations close the skills gap. Organizations today must be agile to adapt to the dynamic market. Learning programs too have to adapt to this shift and be ready to deliver on a near real-time basis. Traditional instructor-led training cannot achieve this easily as this kind of training is time and effort intensive and takes longer to personalize and deliver. eLearning, on the other hand, can be molded swiftly to the changing needs of the training and learning and development departments. Courses can be easily disseminated to the learners to help them come up to speed to meet the changing market dynamics. While these are compelling reasons to adopt eLearning in 2019, the most persuasive argument could be that eLearning is the present and the future of the Learning and Development department. It is only with eLearning that an organization can meet the on-demand learning needs of their workforce and take enablement closer to them. There’s no alternative really! We are at a point in time where considering eLearning as a real option to boost and promote your organization’s growth is real. Time and again, from big multinationals to small brands, everybody has and is successfully leveraging training and development models focussed and built on eLearning to grow. Consider it a growth hack model. Drop us a mail at contactus@enyotalearning.com or click here for us to reach out to you. We are experienced with 12+ years under our belt; sharing ideas is something we pride our selves on. 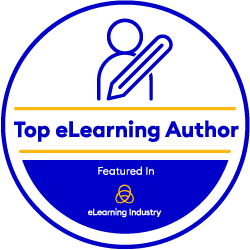 We can also help identify your reasons to adopt eLearning in 2019! Should You Care About AI and ML in Your Corporate L&D Initiatives?